The workshop will take place on Wednesday 12 November at 3.00 pm. 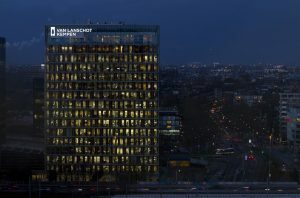 It will be held at KPMG’s global headquarters in Amstelveen. Please save this date in your calendars! The official invitation will follow in due course, so watch your inbox and/or the TopQuants homepage. Below we will provide you with some information on the content and format of this TopQuants event and ask you for input, suggestions, and contributions. The TopQuants Autumn Workshop aims to provide you with lively interaction on technical quant topics. It will offer two rounds of parallel sessions. There will be about five to six parallel sessions in each round. Each parallel session will last for an hour. During a session there will be room for 20-25 participants. At the start of each session, speakers are encouraged to provide a brief introduction before going into more technical details. The presentations will be followed by a discussion between all session participants, including the speaker(s). To facilitate the discussion, sessions will typically be attended by a session host. And of course, to conclude the event, there will be the usual complimentary drinks and walking dinner with plenty of networking opportunities for all participants. You will have the opportunity to attend two parallel sessions. Whether you pick a topic you are actively working on – or one you have always wanted to get an overview of – there should be something in it for everyone. And you even have a say in what topics we offer. The topics of the parallel sessions have not been finalised yet and we invite you to contribute to making this workshop a success! If you would like to give a presentation on a particular topic you consider relevant, or you are interested in hosting a parallel session, please do not delay but contact us today. The deadline for submitting a topic for presentation is August 15, 2014. You can reach us via e-mail. Kind regards from the TopQuants team.